Did you know that the steel drum was born out of poverty and a local ban on drums? The steel drum originated in the late 1930s on the island of Trinidad and was played as part of a steel band, a percussion ensemble contrived by lower-class rebellious teens. “Band wars” between rival steel bands emerged in Trinidad, complete with street fighting. Membership in a band soon became interpreted as hooliganism signalling creole disdain for European norms. 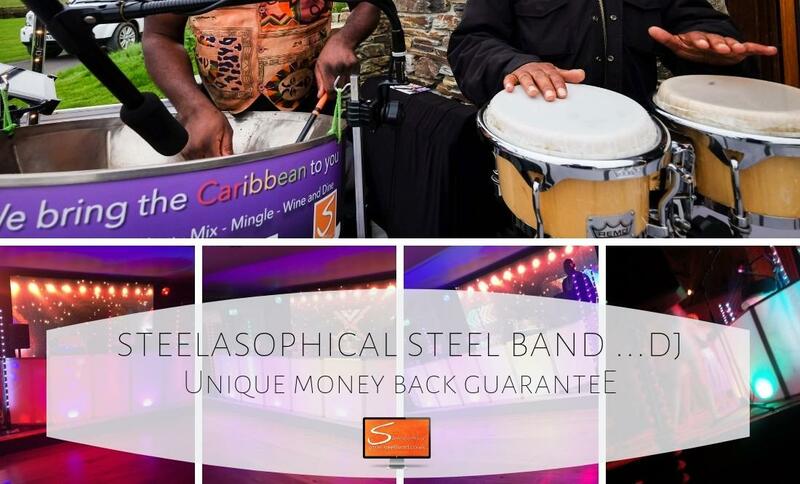 Popularity of the steel band has grown. 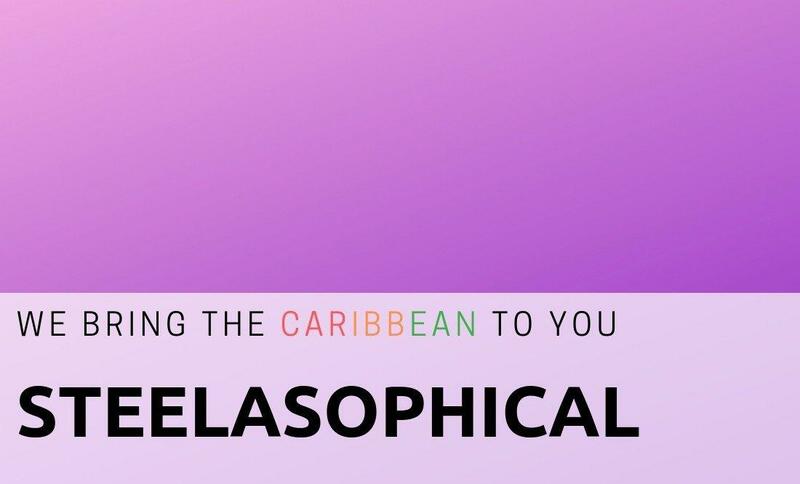 They are now plentiful in Caribbean diaspora communities as well as non-Caribbean communities all over the world. While Trinidad and Tobago continues to be the centre, countries like Sweden, Switzerland, and Japan are now hubs of steel band activity. Musicians who play the steel pan are referred to as a Panist. The early metal pan musicians used a variety of tools to create the sound of metal music – including kitchen utensils and metal containers. 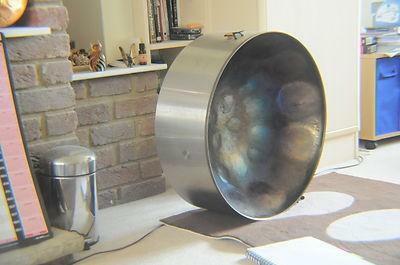 When making a steel pan the bottom of the oil drum is pounded into the shape of a bowl. Further shaping and tuning is done with hammers that create surfaces that resonate to make distinct sounds. 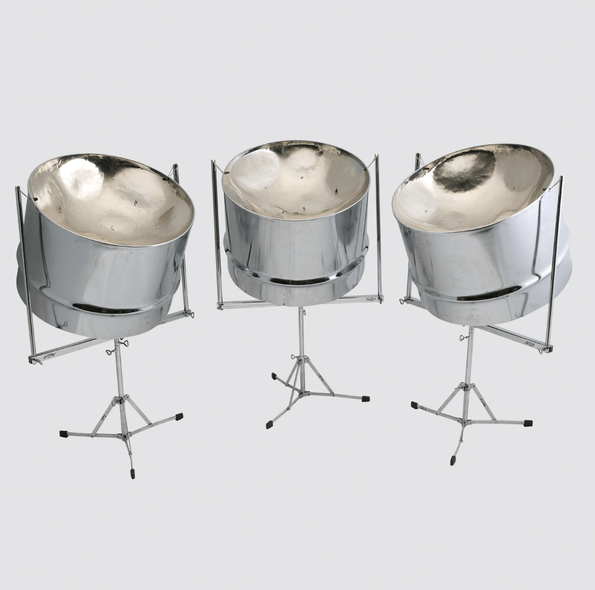 Originally steel pan instruments were played in steel bands with instruments such as dustbins, biscuit tins, and soap boxes. 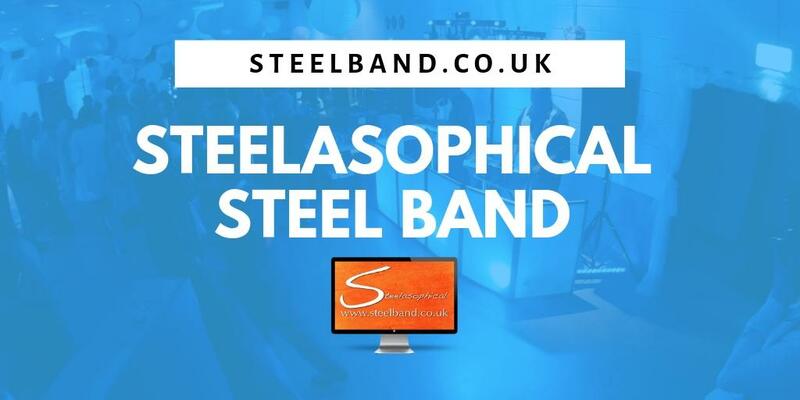 Today steel bands include a variety of other instruments such as triangles, bongos, congas, vibraphones, other percussion instruments, and cow bells. 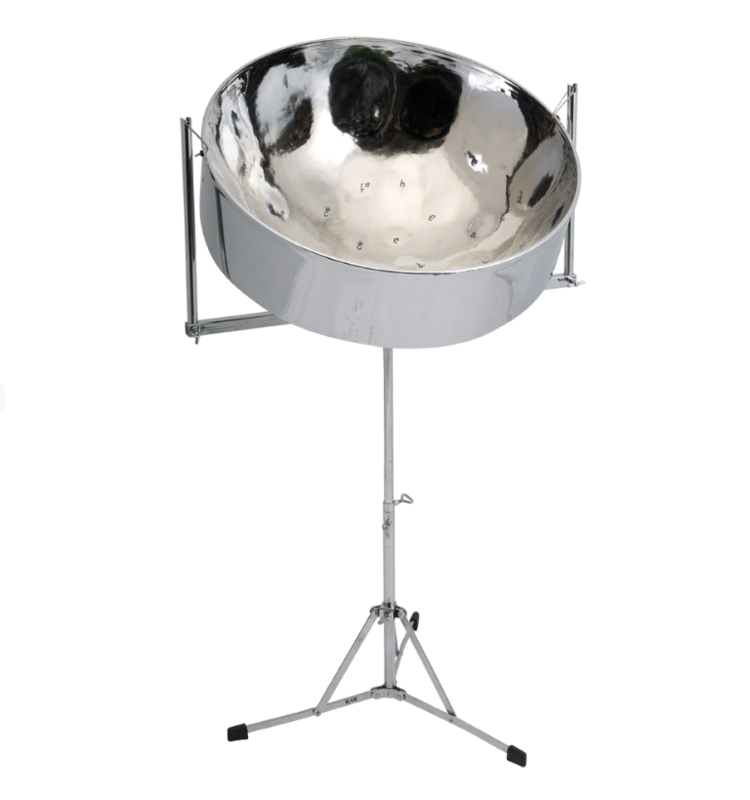 The most popular and well-known music played with the steel pan is Calypso music. 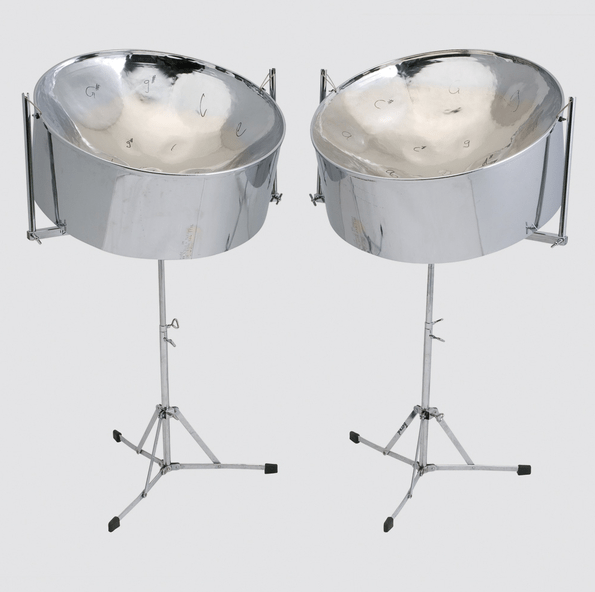 Early in the history of the steel pan in Trinidad steel bands competed with each other. Those who were members of steel bands were thought to be gangs members and street fighting was common. This resulted in steel bands being looked down upon. 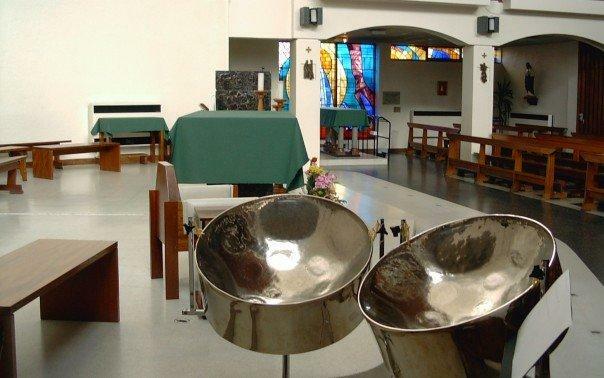 In 1992 the steel pan became the official national instrument in Trinidad and Tobago. Since the first steel pans and steel bands emerged the popularity of this music has grown. Japan, Sweden, Switzerland, and many other non-Caribbean countries have steel bands featuring steel pan musicians. 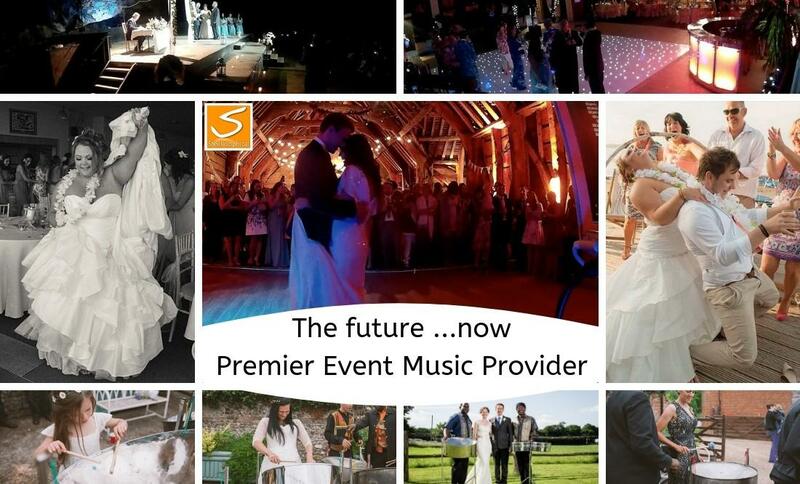 The first ‘melody pan’ that could sound an entire melody was created by Winston ‘Spree’ Simon. The first steel pan musician to wrap the sticks with rubber to soften the sound was Ellie Mannette. He also created the concave shape that still remains in the design today. 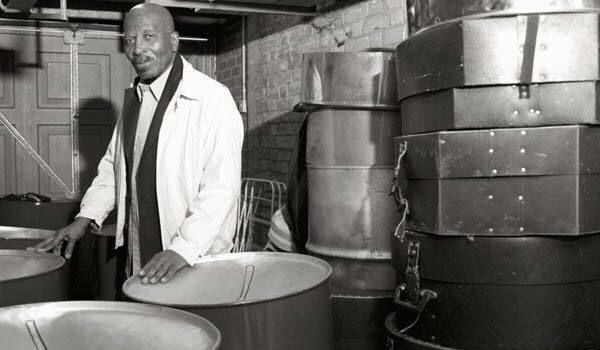 One of the first steel pan musicians to use a 55 gallon oil drum for creating the steel pan was Anthony Williams. He also invented the ‘spider web pan’ which is the popular choice for tenor pans. The inventor of the double tenor pam was Bertie Marshall. He also recognised that the sun had negative effects on the steel pan and started using canopies for protection during outdoor play. Steel pans only have about a one and half range octave which is not very much when compared to other instruments. Bass steel pans are very large and difficult to move from place to place. The World Steel Band Music Festival is held in Trinidad since 1964. The largest competition for steel bands is held during Carnival in Trinidad – called Panorama. Steel drum, tuned gong made from the unstoppered end and part of the wall of a metal shipping drum. The end surface is hammered concave, and several areas are outlined by acoustically important chiseled grooves. It is heated and tempered, and bosses, or domes, are hammered into the outlined areas. The depth, curvature, and size of each boss determine its pitch. The drums are struck with rubber-tipped mallets made from Wood, Aluminium or PVC. Ellie Mannette – is credited with being the first to wrap the playing sticks with rubber (which softened the attack and produced a more refined tone).He was also the first to sink the surface of a pan into its now characteristic concave shape (this allowed for more pitches to be placed on the playing surface). Anthony Williams – is credited with inventing the ‘spider web pan’ which was designed in a cycle of fourths and fifths. (Pans with intervallic formulas are easier to tune and produce a higher quality sound). This layout is now the most popular and accepted design for tenor (lead) pans. Mr. Williams is also credited with being one of the first in steel pan history to use large 55 gallon drums as starting material for the pans, a tradition that continues to this day. Their celebration was not religious — they simulated burning the sugar canes of the plantation owners, calling it “CanneBrullee” or “Canboulay.” They beat drums and carried torches and practiced stick fighting, ultimately forming bands that roamed the streets like gangs during Canboulay, waring with rival bands. In an attempt to instate sanity and regain their own Mardi Gras celebration,1884 laws were made banning drums during Canboulay. By 1900, the upper class resumed Carnival celebrations for Mardi Gras. Though less violent, the African bands were still fighters, using a “kalinda” to taunt the rival gangs through song and brag about the fighting skills of his band as they roam the streets during Canboulay. Metal became widely available during the 1930’s and the drummers beat on anything to make music — garbage cans, automotive brake drums, biscuit and paint containers. Once again, Canboulay became too violent. In 1935, the bamboo drums were outlawed during Canboulay as the drums also made good weapons for the waring bands. By 1938, the youth of Trinidad scrounged up anything metal for drumming; garbage cans being very popular. Port of Spain, Trinidad, held some of the largest Canboulay celebrations. Alexander’s Rag Time Band came to the Port of Spain Canboulay celebration in 1939 with an all-metal band and was an instant success. Tuners started putting notes into pans beginning with the ping pong. Credit is given to Victor “Totee” Wilson for tuning a two-note drum that mimicked the ping pong sound of the QRC clock tower. The best tuners became band leaders. and the rivalry between the bands remained intense. When oil was discovered on the island, oil drums became inexpensive and plentiful — perfect for the metal drums. Pounding the barrel into a concave bowl and pounding the convex notes into the bowl was likely a collaboration of several different steel drum tuners. Whatever worked was soon imitated by rival bands. 1763 – France loses Seven Year War. Many islands secede to Great Britain. 1777 – French sugar cane planters exodus to Spanish Trinidad. 1783 – Cedula de Poblacion. Any Roman Catholic friendly to Spain given 32 acres, plus 16 acres per imported slave. 1789 – French Revolution. Many more French relocate to Trinidad to escape the effects of the revolution. 1791 – Haitian Revolution. Revolting against the British, they flee to Trinidad. 1797 – British overthrow Trinidad. 1816 – Merikan soldiers (African slaves offered freedom to fight Americans) brought to Trinidad, given 16 acres each. 1838 – Emancipation. Plantations turn to India for labor. 1860 – Upper class whites have mostly abandoned Carnival. 1880 – Canboulay riots. 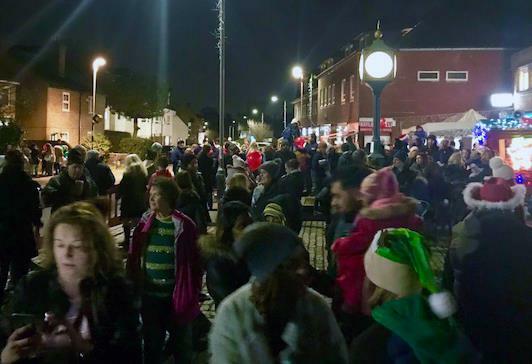 Bands join together to fight against police. 1884 – Drums outlawed at Carnival, begin Tamboo Bamboo era. 1935 – Tamboo Bamboo drums outlawed at Canboulay. 1939 – All-metal percussion band emerges from Tamboo Bamboo bands. 1942-1945 – Carnival put on hold for war concerns.